Administrators face a complex web of competing priorities and considerations when tasked with reshaping school attendance boundaries. Examples include rapid or uneven enrollment shifts, demographic changes, future growth or decline in enrollment, political pressures, concerned parents, safe walking routes, costs…the list goes on. Our Planware division’s boundary planning services draw order from the potential chaos and minimize possible controversy by providing school districts with fact-based and data-driven boundary scenarios and planning data. How do we do this? It starts with you. We offer one-on-one boundary planning consulting and tailor our solutions to your specific needs. Tell us the problems you’re trying to solve, and we’ll guide you on the appropriate tools and next steps that will bring you the results you’re looking for. This customizable approach ensures you get the most out of our scalable services and allows us to provide you the best support possible. 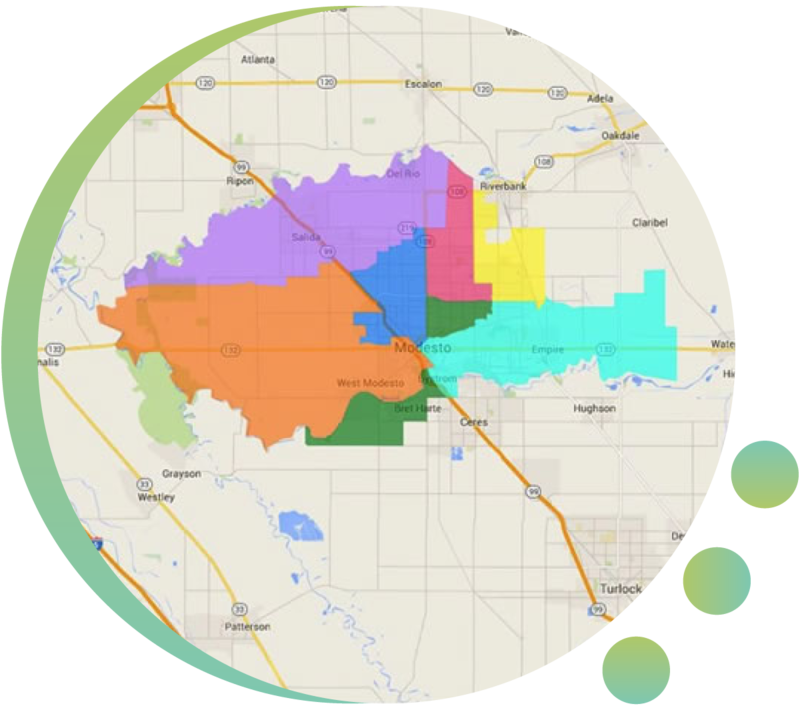 We then utilize Geographic Information Systems (GIS) to input your district’s boundaries and student database to create customized reports that map the location of every student enrolled in the district. With these reports, you can identify how each boundary scenario impacts individuals, programs, and groups. Our specialized GIS services produce multiple planning scenarios that take into consideration different school boundary configurations and variables such as school capacities, student demographics and locations, different grade configurations, natural barriers, maximum travel distance policies, inter- and intra-district transfer statistics, and more. These scenarios take the guesswork out of formulating attendance boundaries by demonstrating the impacts of these variables in each scenario. The district can then evaluate multiple scenarios and ultimately choose the one that will best meet its goals. When it comes time to present boundary changes to the community, the district will have verifiable data readily available to demonstrate the rationale behind boundary planning decisions. Fundamental to our boundary planning service is the geographical display of student locations for optimizing student assignments to schools. This allows you to contextualize students in relation to their school of residence. For enhanced precision, we can incorporate planner-imposed constraints, such as travel distance limits, natural barriers, appropriate street crossings, and pre-assignment of areas or neighborhoods to certain schools. By incorporating this kind of pertinent information, our services assign students to the most accessible school with available capacity. The key benefit of this optimization feature is the speed with which various districtwide assignment plans can be generated. Relevant images and reports from these scenarios can be easily extracted and subsequently incorporated into presentations or board materials. Our boundary planning services are powered by a customized geodatabase of students, schools, and applicable geographic information, plus custom GIS software tools that help manage and streamline the planning process. This allows the district to achieve maximum facility utilization and confidently develop contiguous school attendance areas. Changing the assignment of students from one school to another automatically alters enrollments, grade-level allocation, ethnic distributions, transfer assignments, and student travel averages for affected schools. Drawing on your preferences and the district’s priorities, we then create model boundary scenarios that allow you to quantify and visualize the impact each potential boundary decision will have on your students. 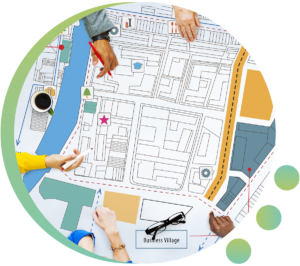 If you’d like more information about our Boundary Planning Services, please connect with us.